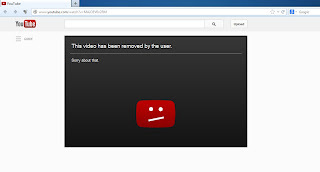 Hilfolfozoul حلف الفضول: Has Google Removed The Offensive Film? Since Al-Qassam has announced that the only way to stop the attacks is removal of the insulting film from YouTube, certainly a significant part of stress caused by the attack on banks moved on YouTube and Google, its main owner. But the interesting point is the way this film has been removed from YouTube, apparently by the user. Some doubts which are considered about Sam Basil, the video holder, the only one who could remove this film, show that removing of the film by this user itself is less likely. It is possible that other people in the name of Sam Basil have deleted the video to prevent from costs arising from attacks on banks. In any case, according to the Qassam statement, attacks suspension is not permanent. We have to wait and see whether these attacks will be stopped by the removal of the remaining copies of the film, or banks in the United States will undergo new challenges.